They best song to describe the third week of September is “Happy Talk” from South Pacific. On Wednesday morning, the members of the Positive Behavioral Interventions and Support (PBIS) committee met in order to discuss proactive measures we can take in regards to behavior at Woodlake Elementary School. Our Assistant Principal, Ms. Tara Hernandez, led the discussion as we looked at the discipline data for the first month of school. The committee then brainstormed ideas to prevent these behaviors from occurring in the future. We also discussed “Booster Lessons” that will positively reinforce the school rules. On Thursday, Channel 13 came to film part of my lesson with Ms. Jones’ third grade class. The kids were extremely proud to share a song that we are preparing for a performance that integrates math. They also played a “Telephone Game” with rhythm for the video. Following the lesson, I was interviewed by Dr. Melody Swang with Channel 13 regarding the lesson and my beliefs about teaching. The video will be shared at the St. Tammany Parish School Board meeting on October 8, 2015. I am looking forward to our second Red Stick Orff Chapter workshop that will take place in Lafayette, Louisiana on Saturday, September 19, 2015. 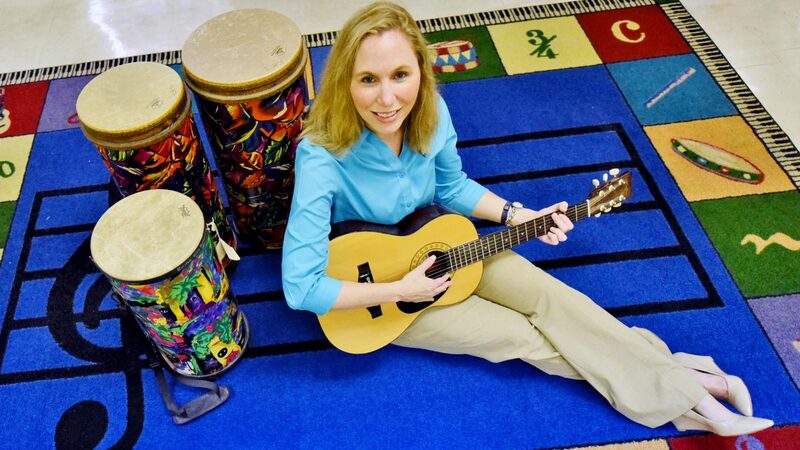 The Red Stick Orff Chapter is an organization that is dedicated to providing professional development and collaboration for music teachers in Southeast Louisiana. As a member of the board, I have been asked to share “Songs We Like to Sing”. Although the theme sounds simple, it has been difficult for me to choose which song I would like to present. There are so many songs I love to teach! I have decided to share the folk song “Draw Me a Bucket” from the song book Jump Jim Joe by Peter and Mary Alice Amidon. The book includes a movement game that the students love. I also chose the song because the students can make a connection to math with the movement game. Yes, it has been a week filled with “Happy Talk” as I’ve been “(talking) about things (I) like to do”! Next Next post: Who Dat Teacher!